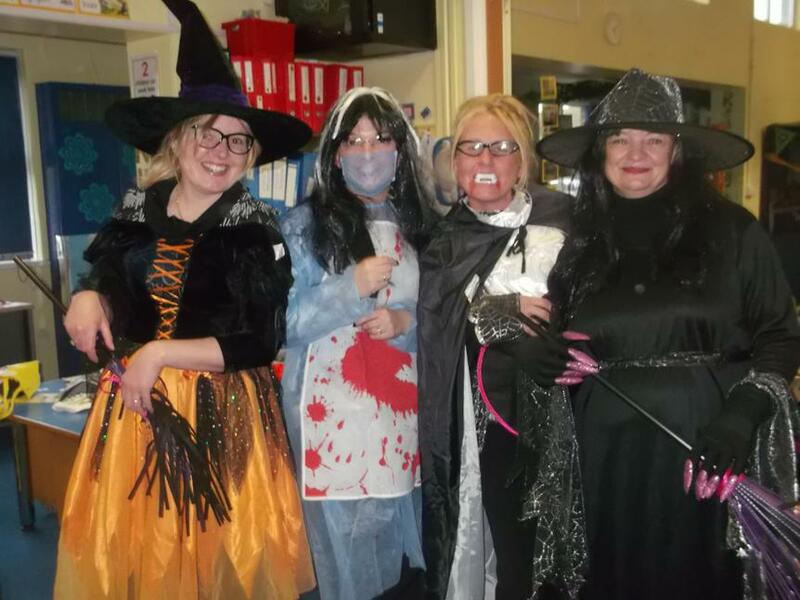 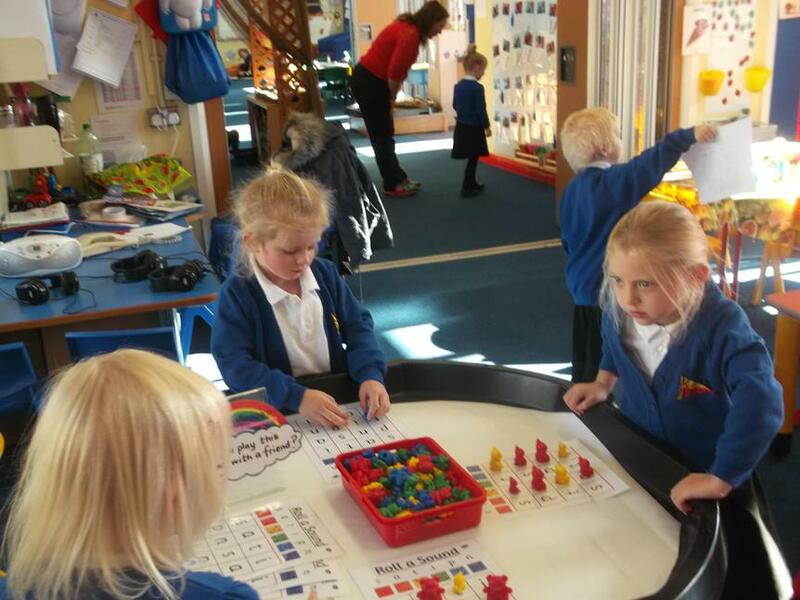 Our class Teachers are Mrs Taylor and Miss Healy and we have three Teaching Assistants who support us they are Miss Edwards, Mrs Holden and Mrs Stocks. 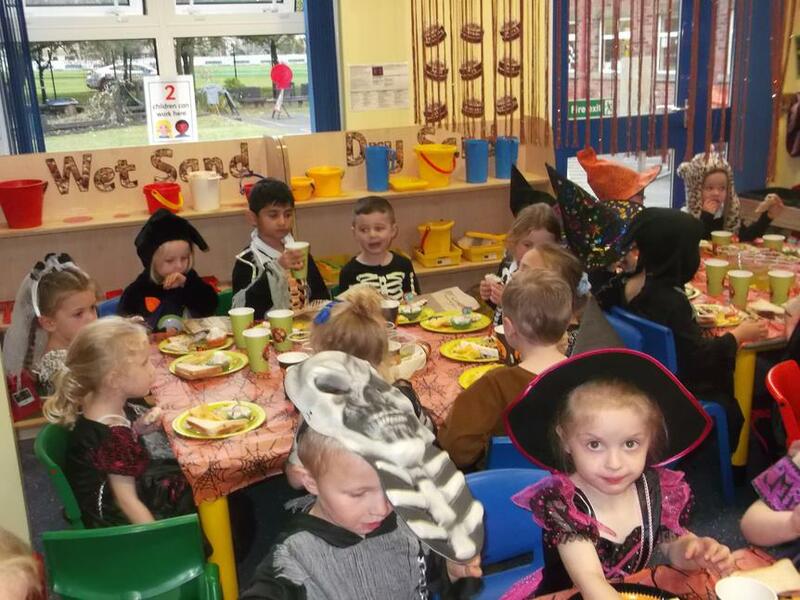 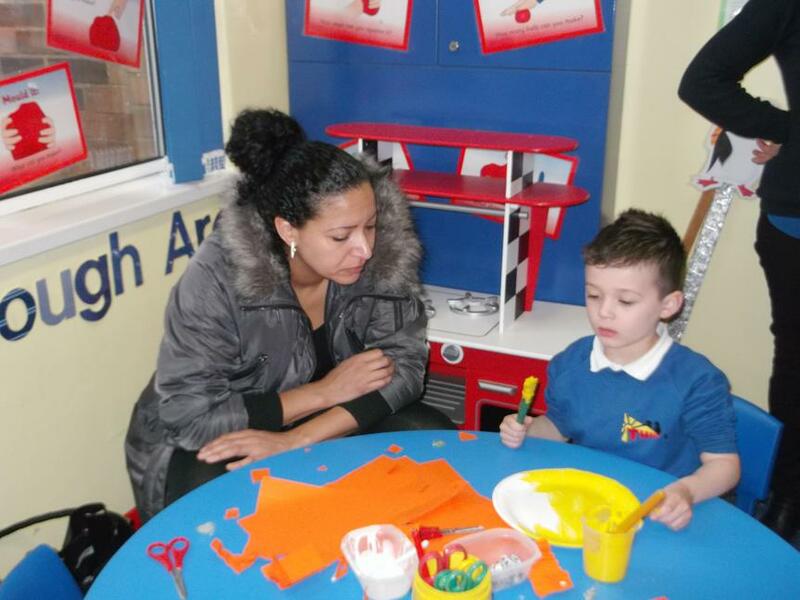 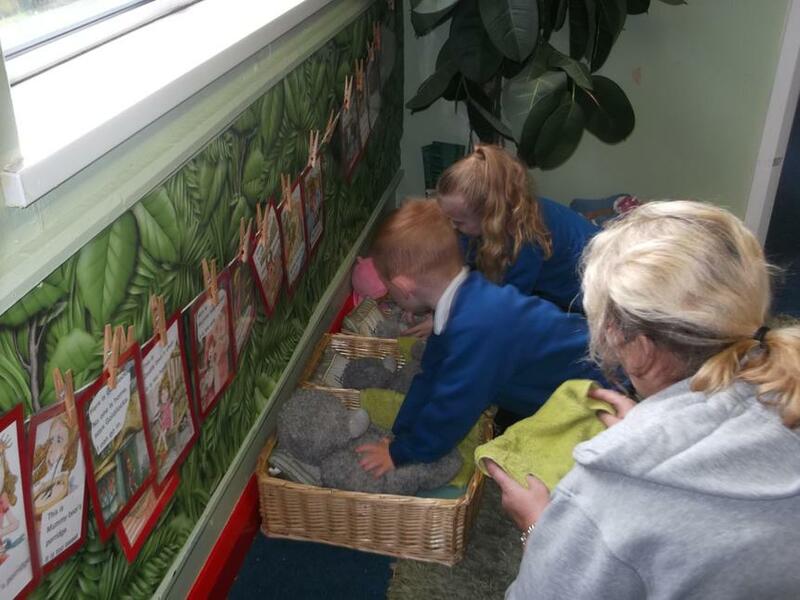 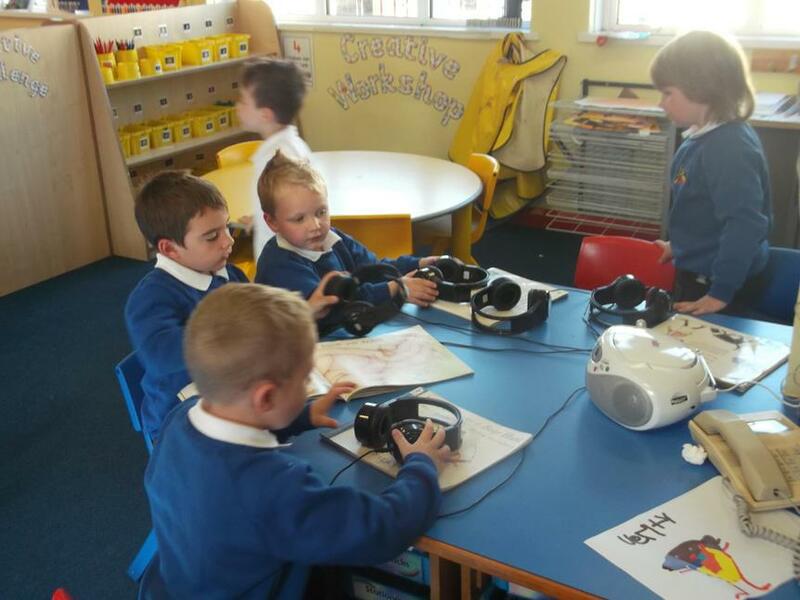 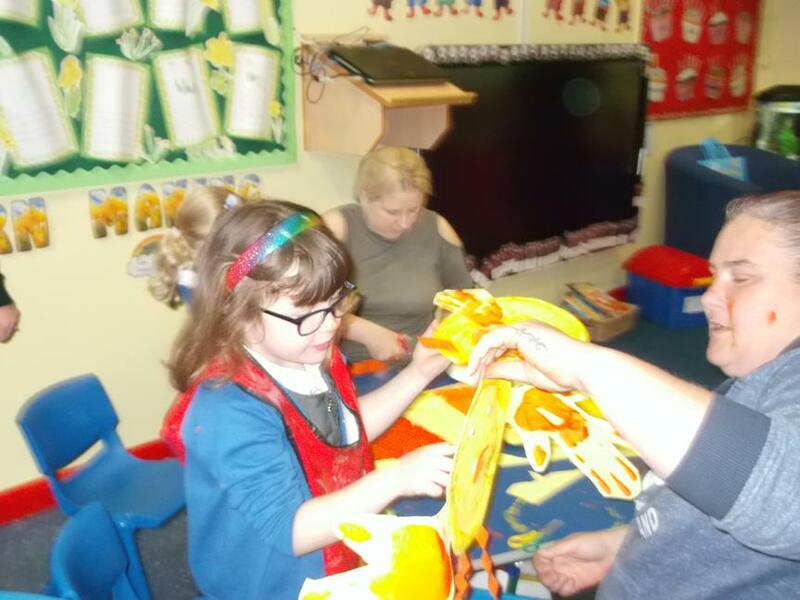 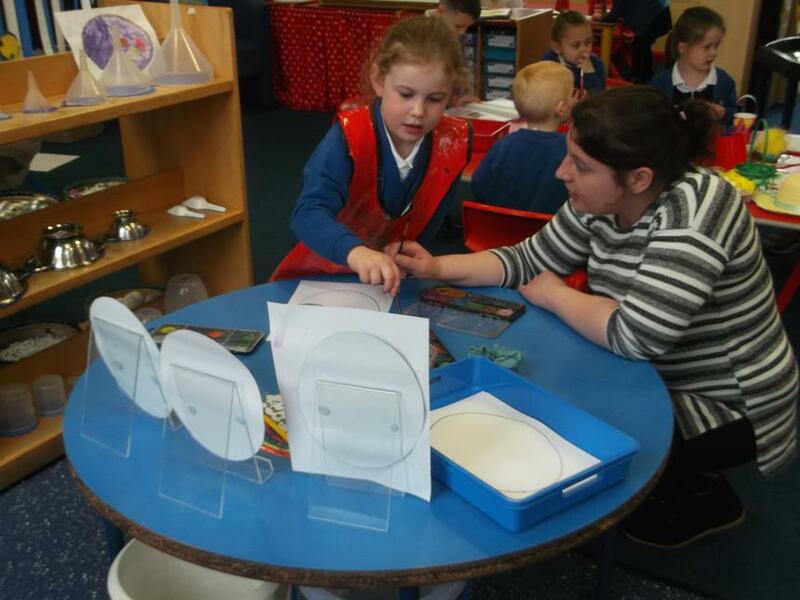 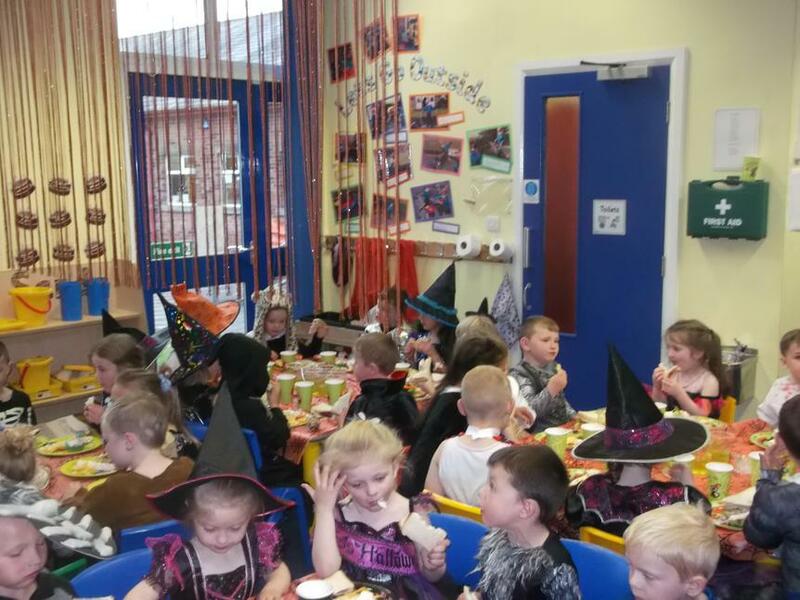 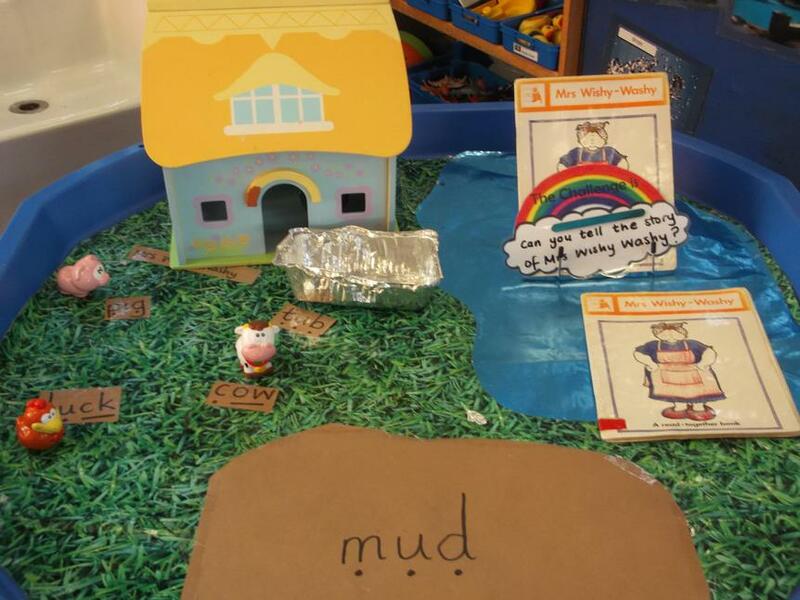 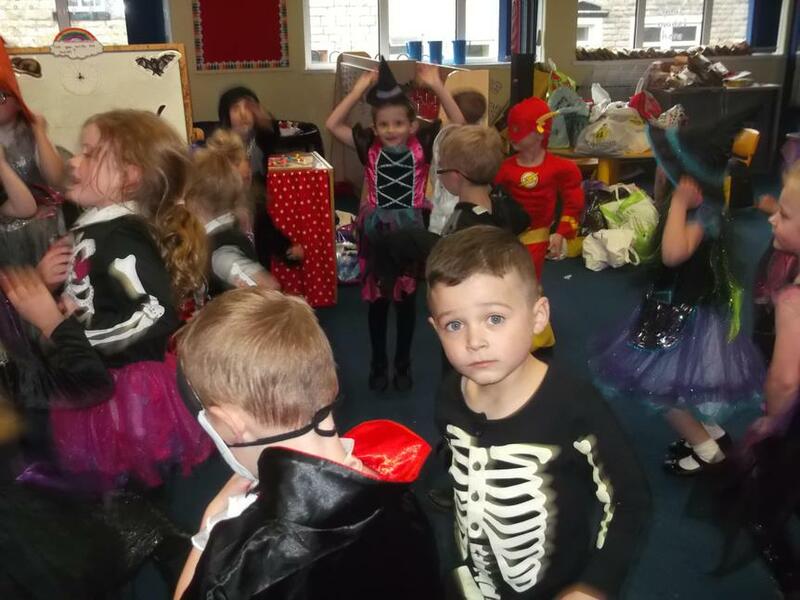 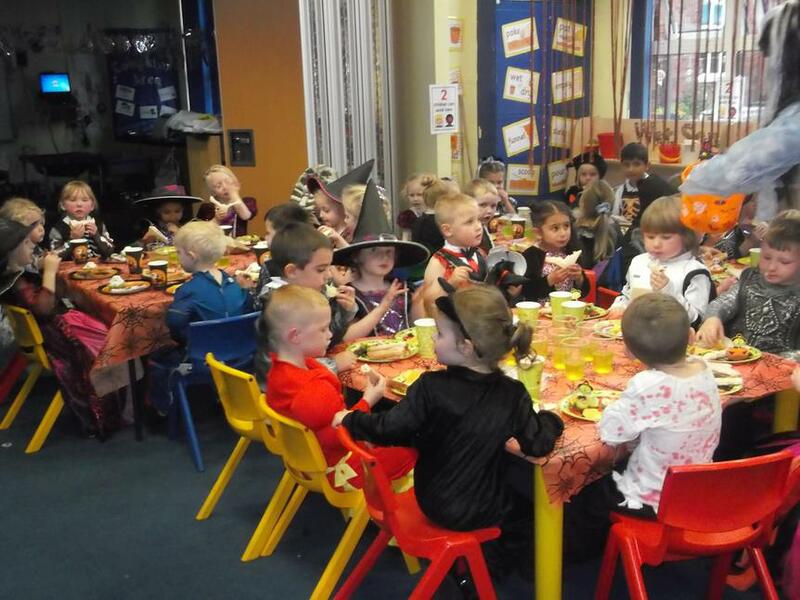 Our indoor and outdoor environment is an exciting and stimulating place to learn where we use the outstanding provision to engage and develop our skills in all the seventeen areas of the Early Years Curriculum. 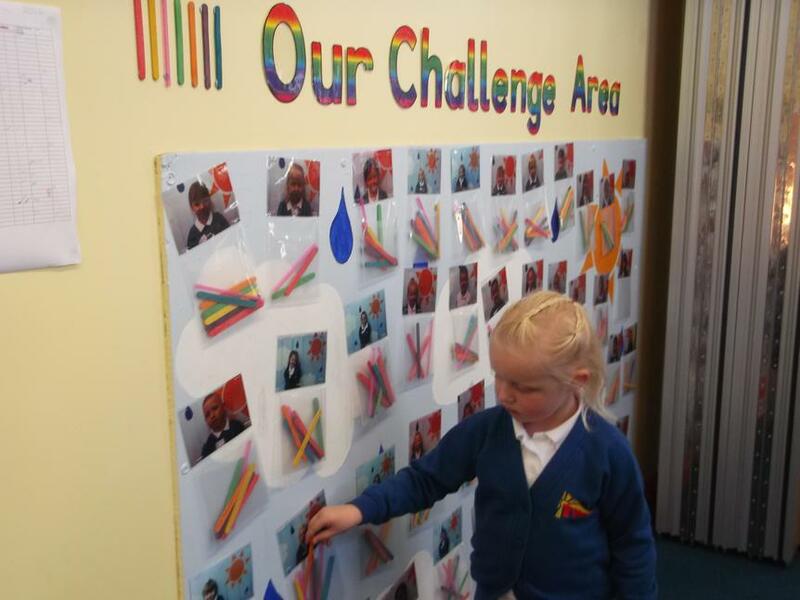 New for this year is the Rainbow Challenge Board cross-curricular challenges are set up for the Children to access independantly. 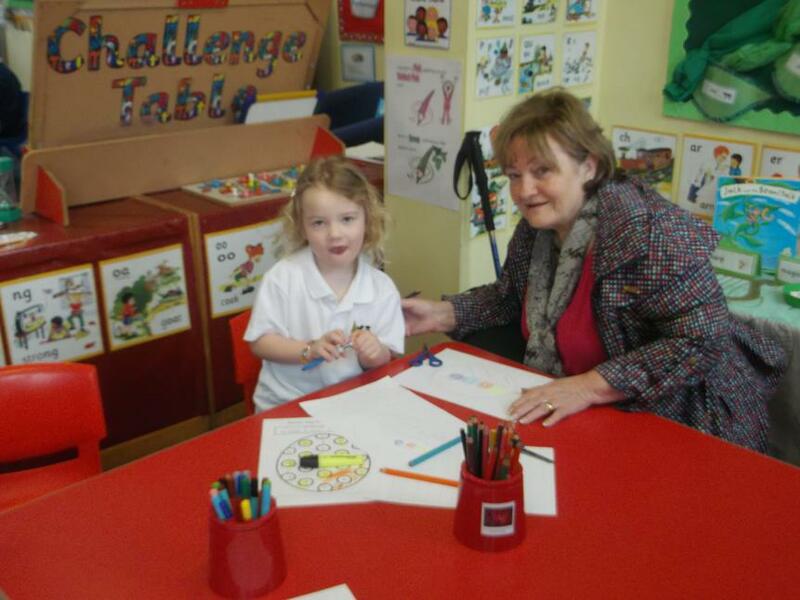 On completion of each challenge a lollipop stick is awarded and if the Children have collected all seven by Friday morning they can take part in the Class prize on Friday afternoon. 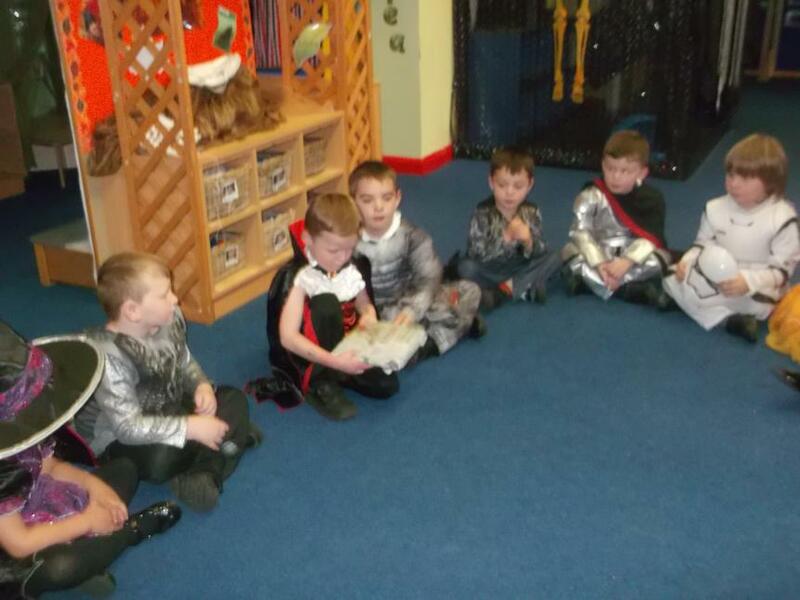 Our reading books are changed on Monday, Wednesday and Friday. 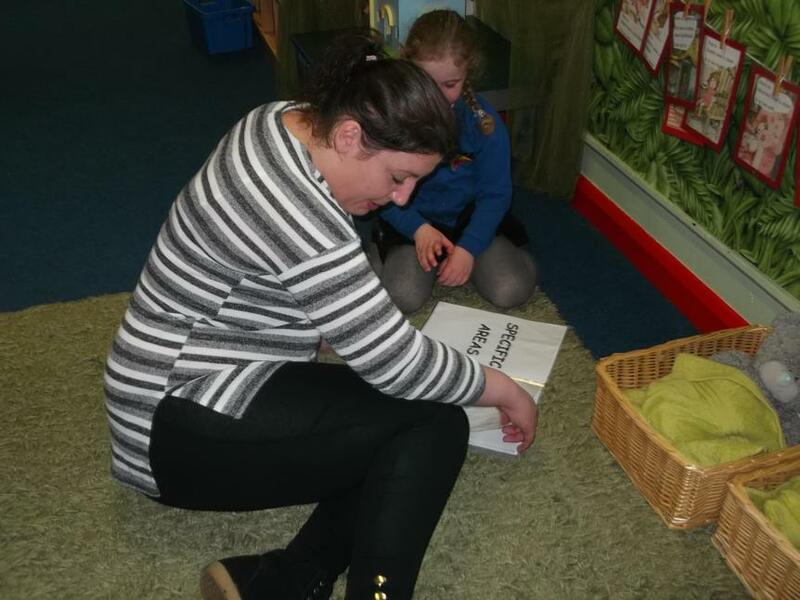 Home-school books are to be returned to school by Thursday (remember this is for a purple lollipop stick for your child). 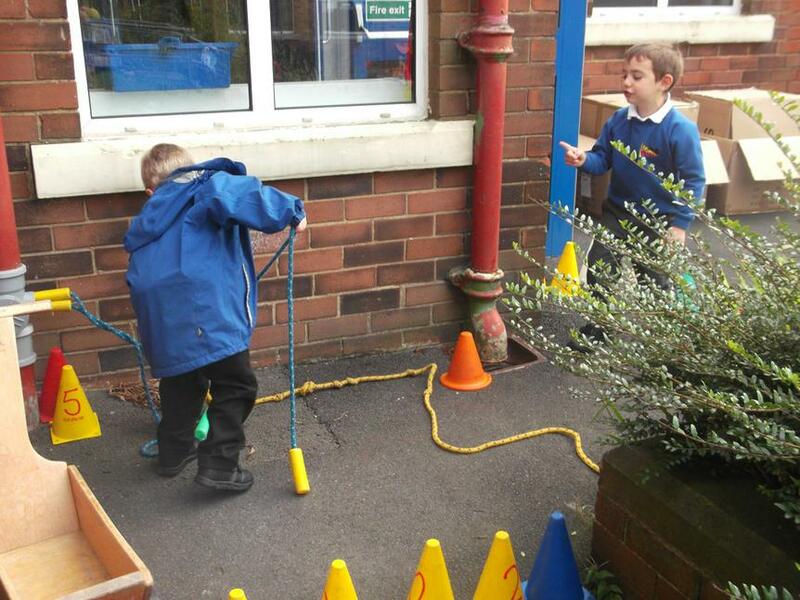 Children have PE on Wednesday morning and will need full PE kit. 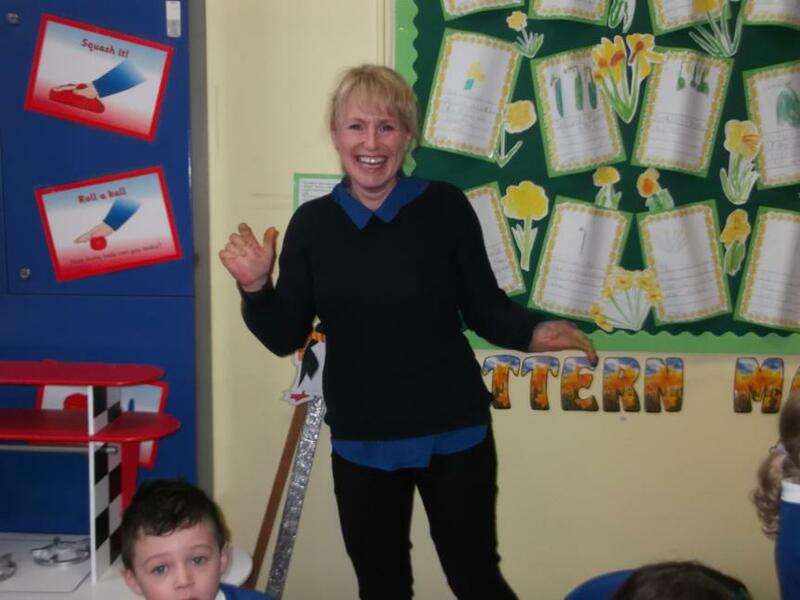 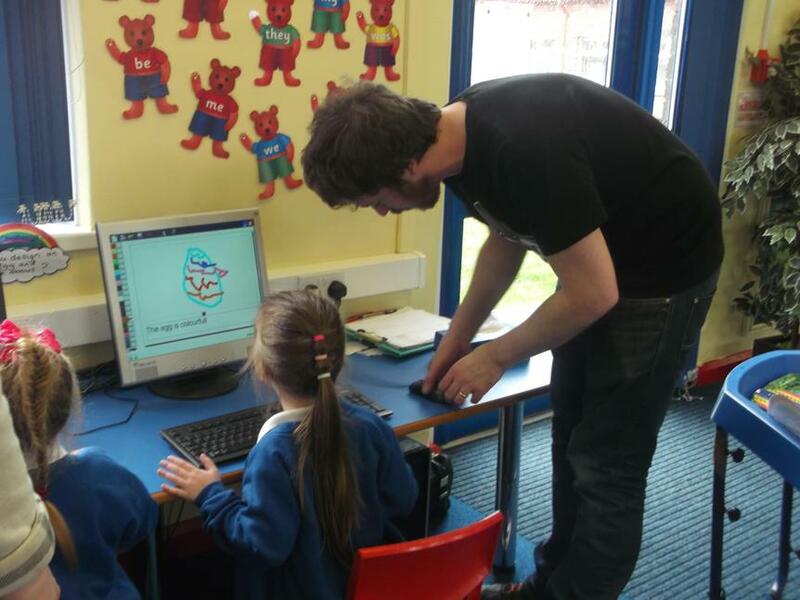 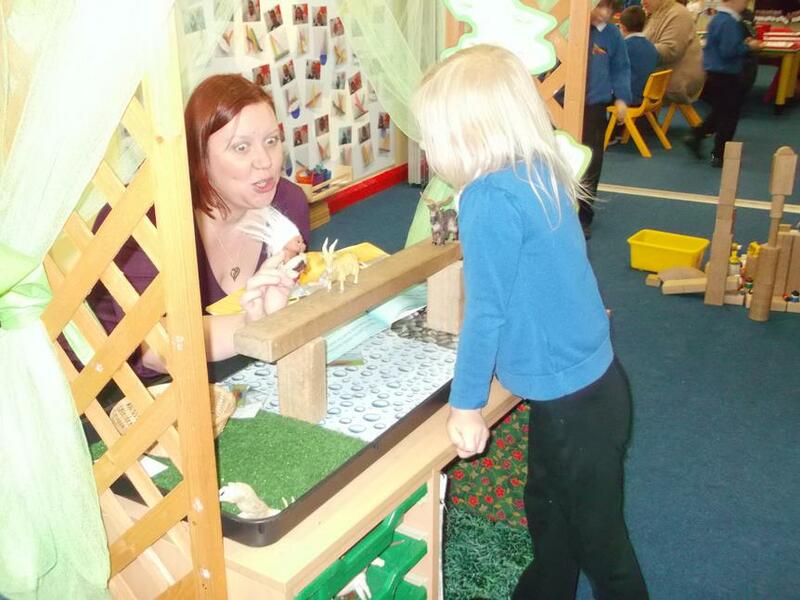 The children have really enjoyed our topic on traditional tales. 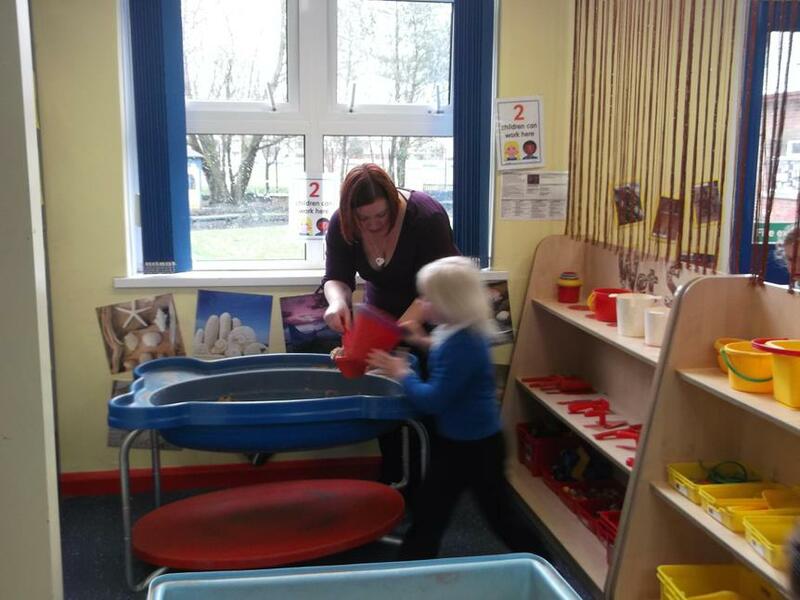 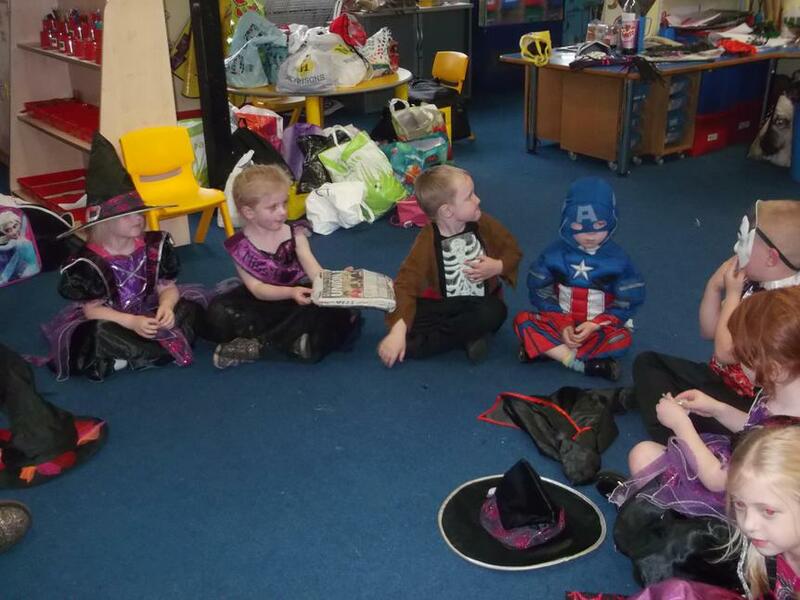 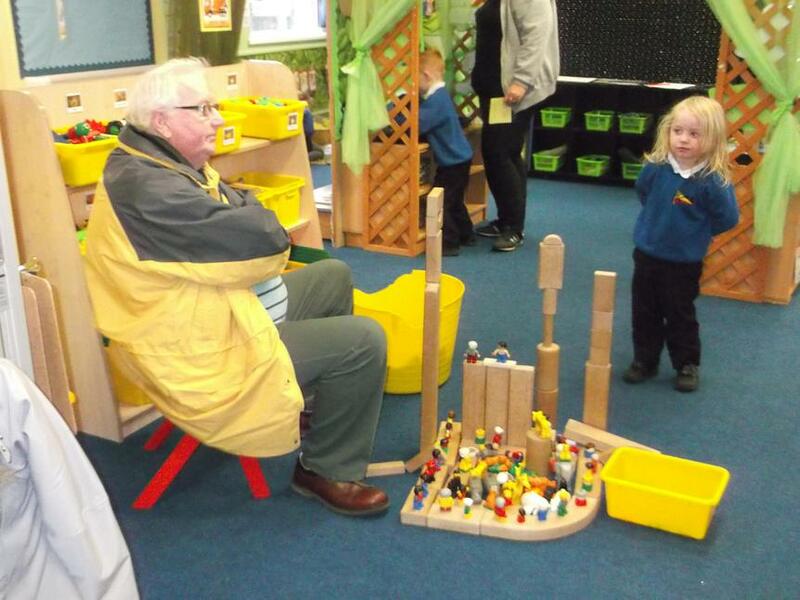 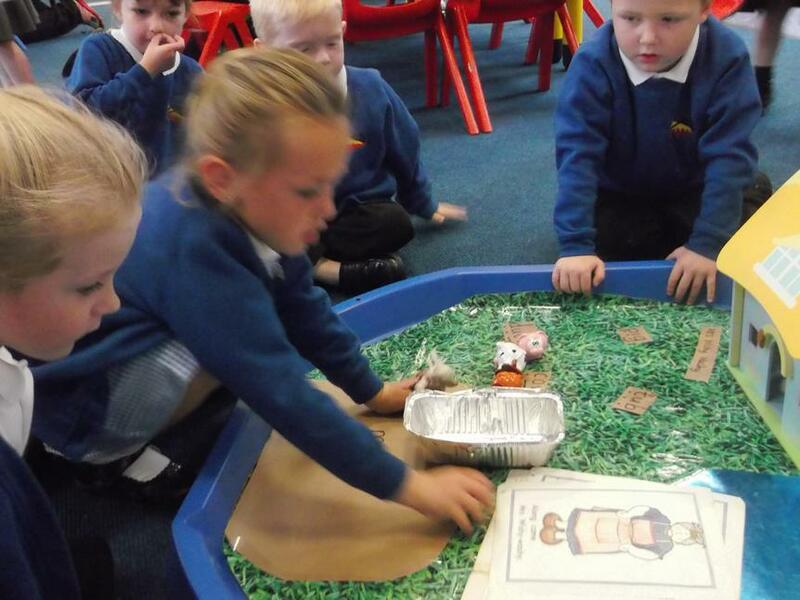 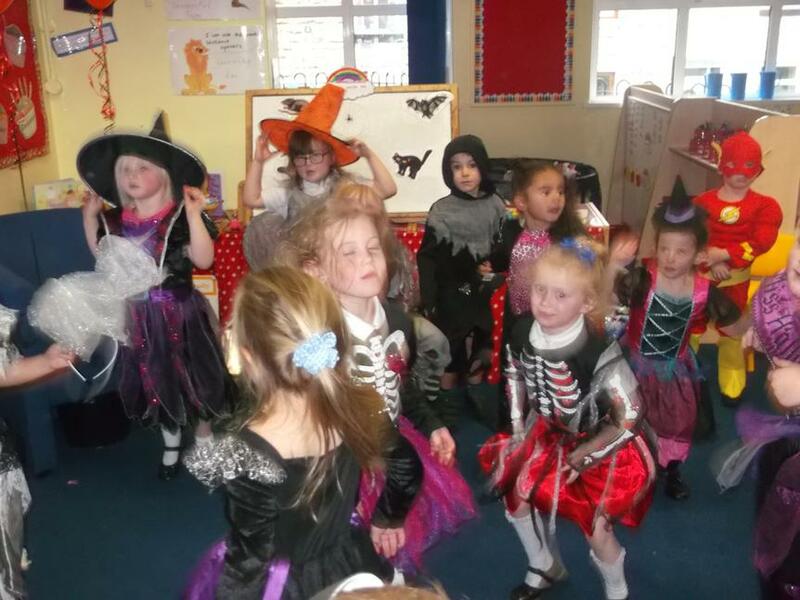 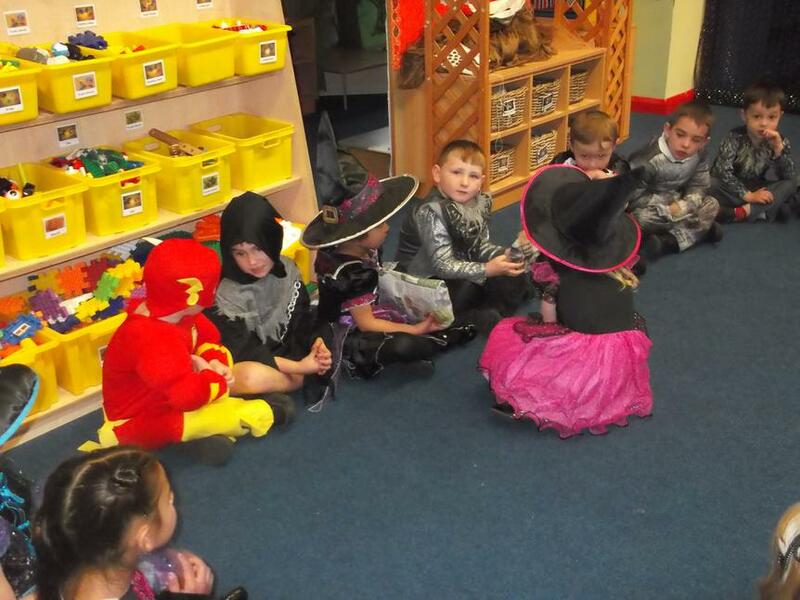 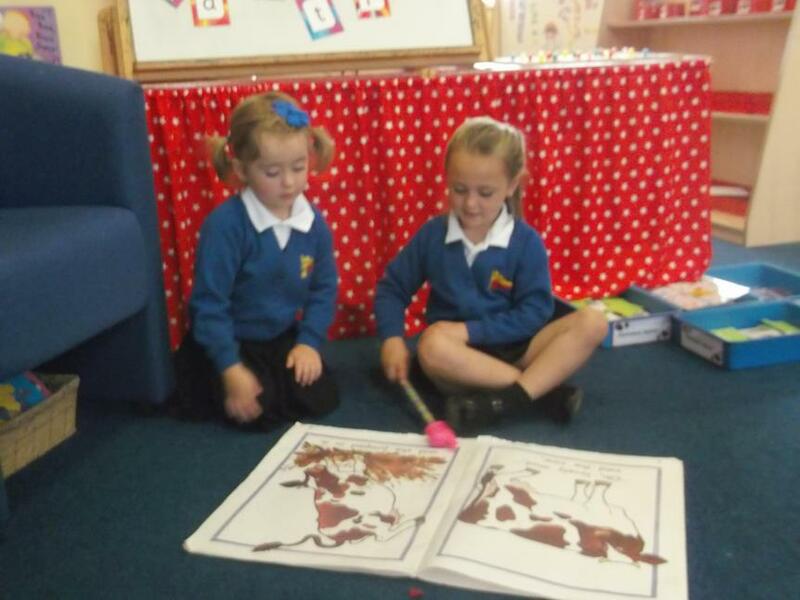 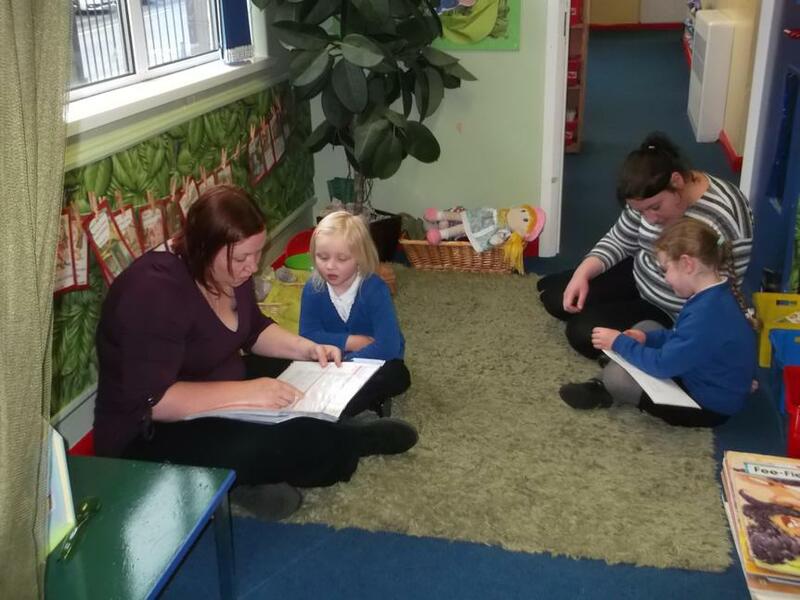 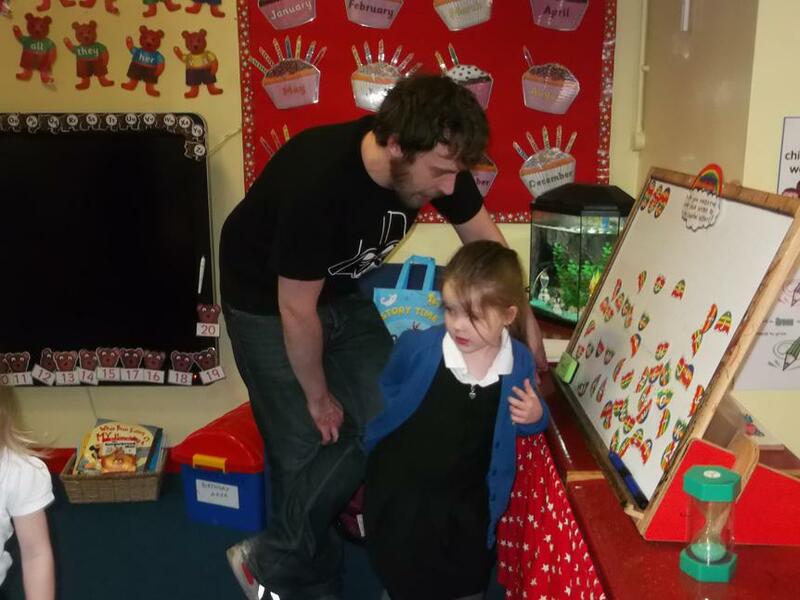 We have read lots of stories and they have acted them out in the role-play area. 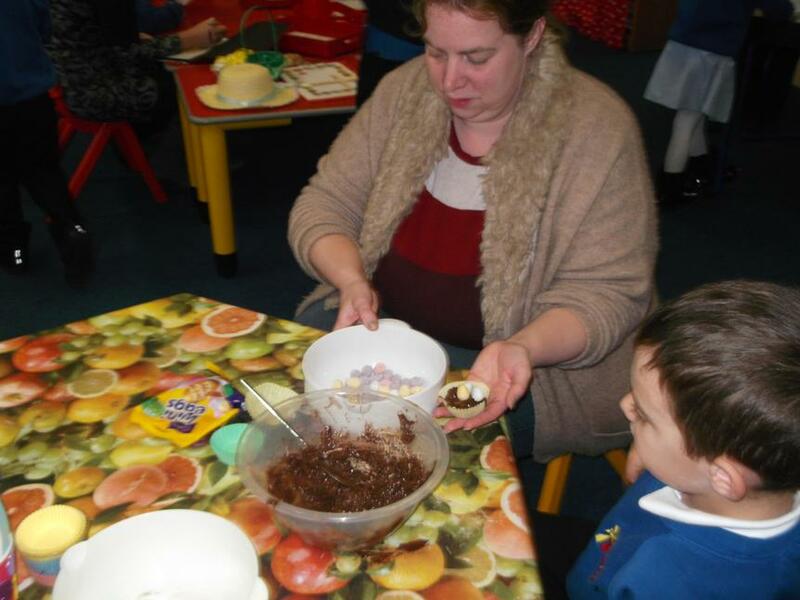 We made Gingerbread men and cupcakes as well as decorating biscuits. 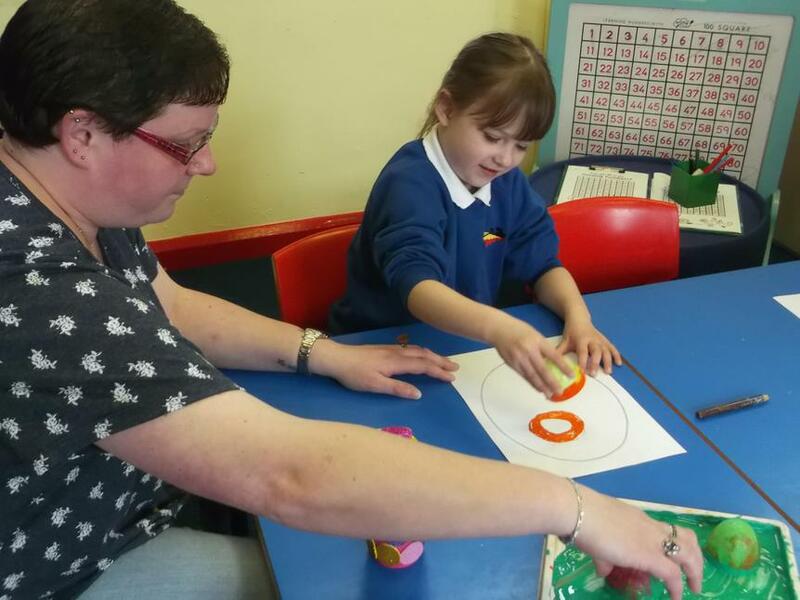 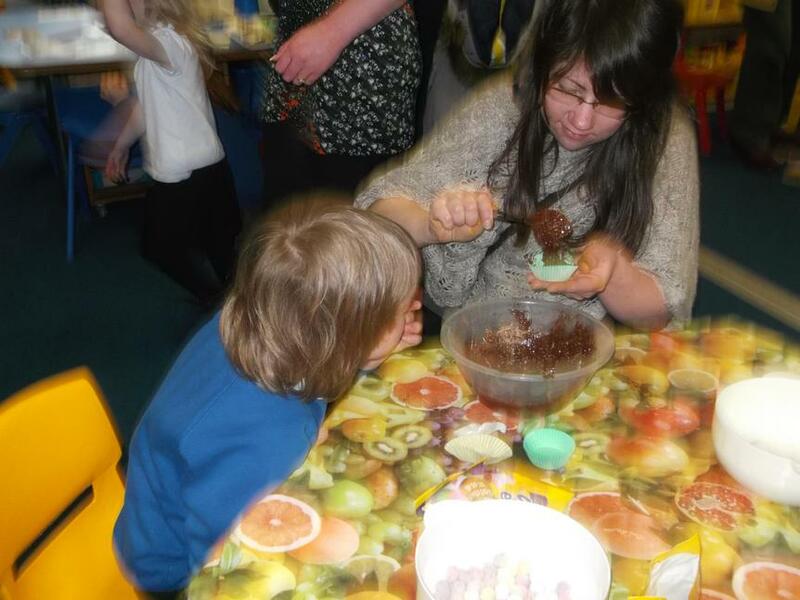 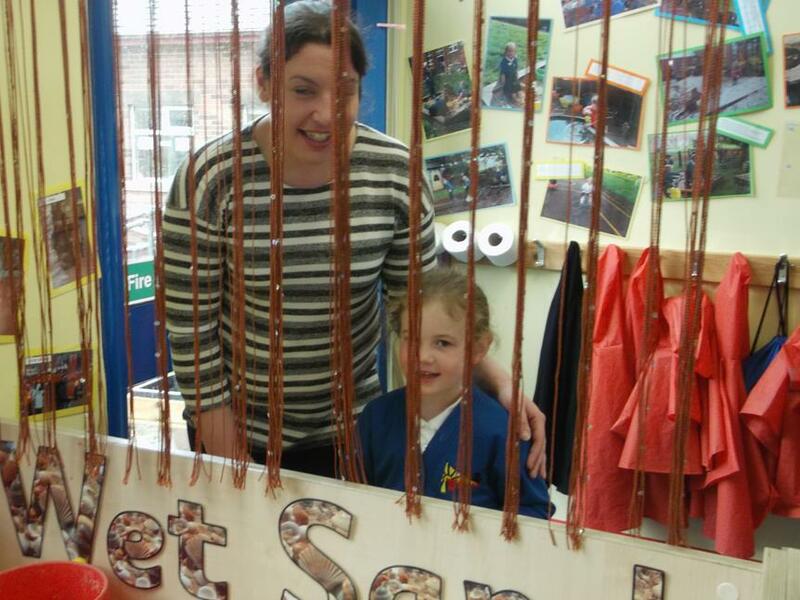 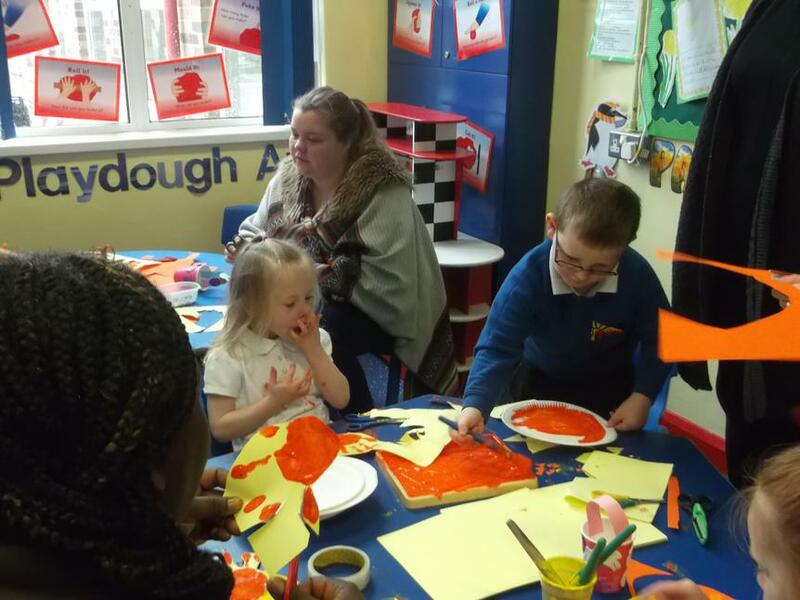 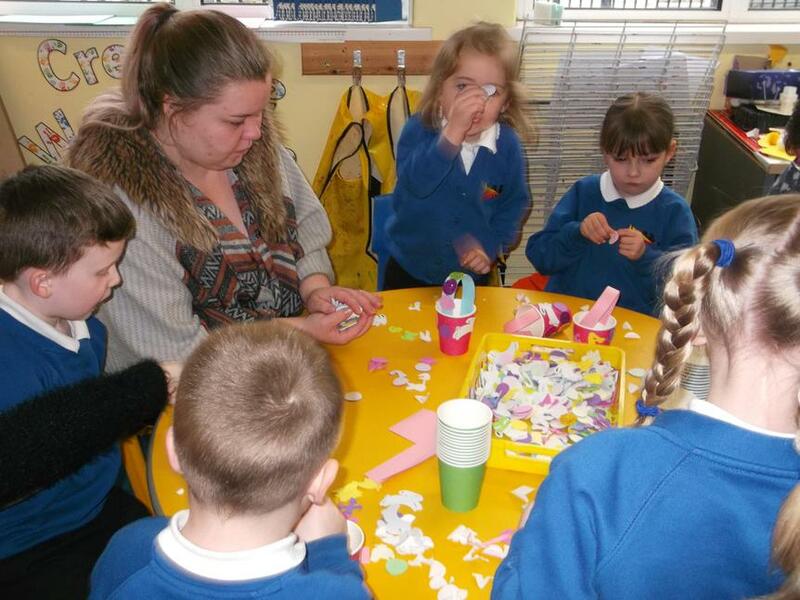 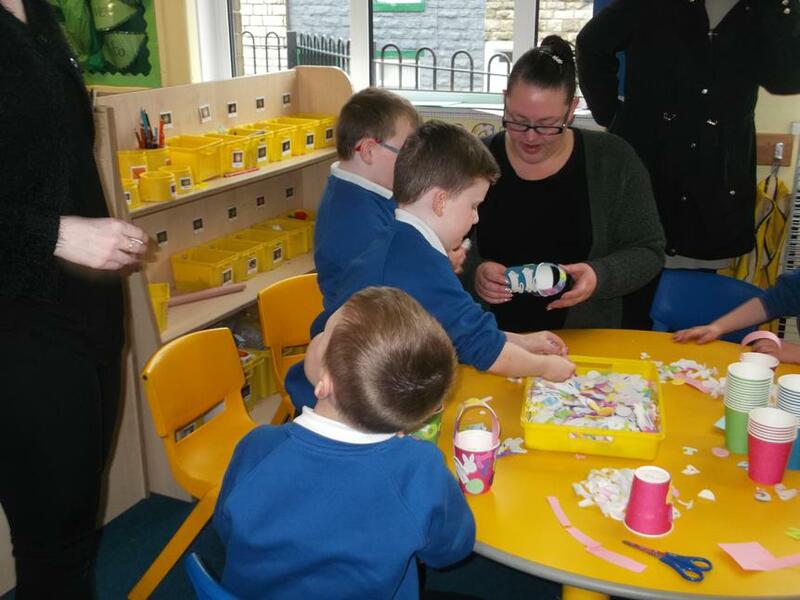 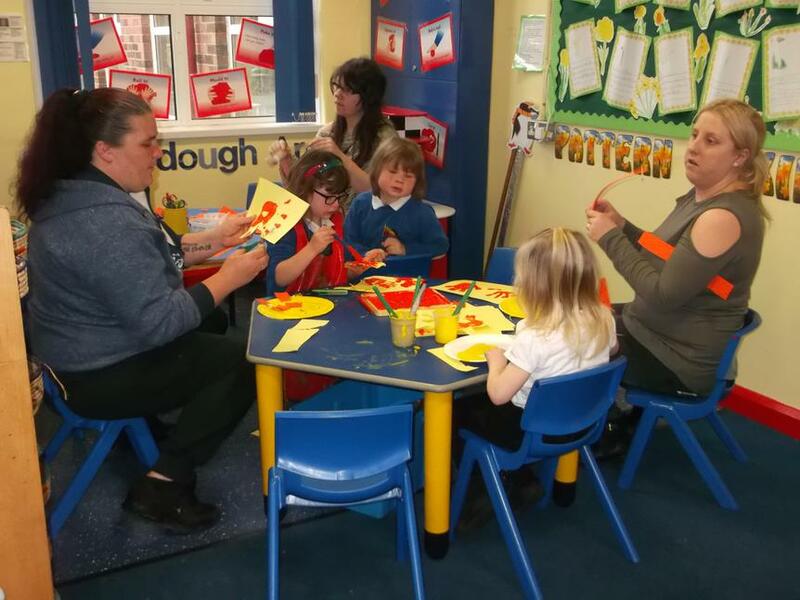 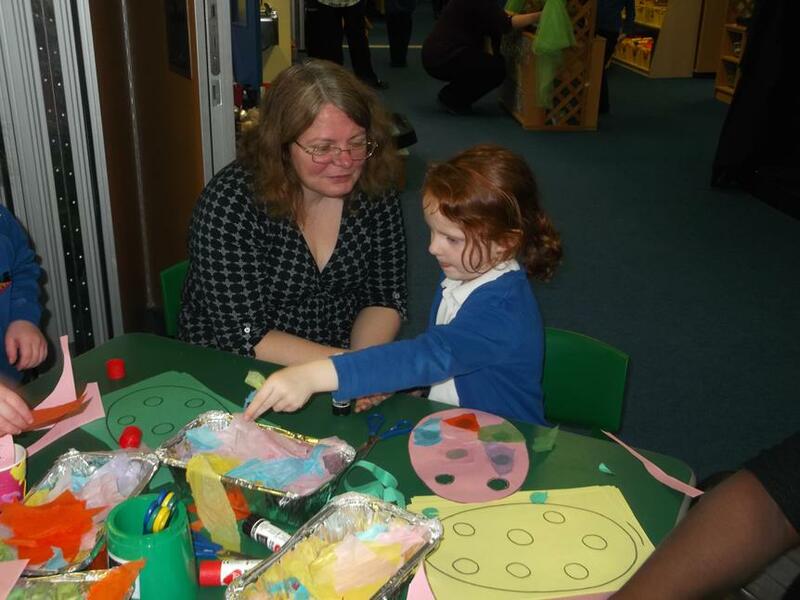 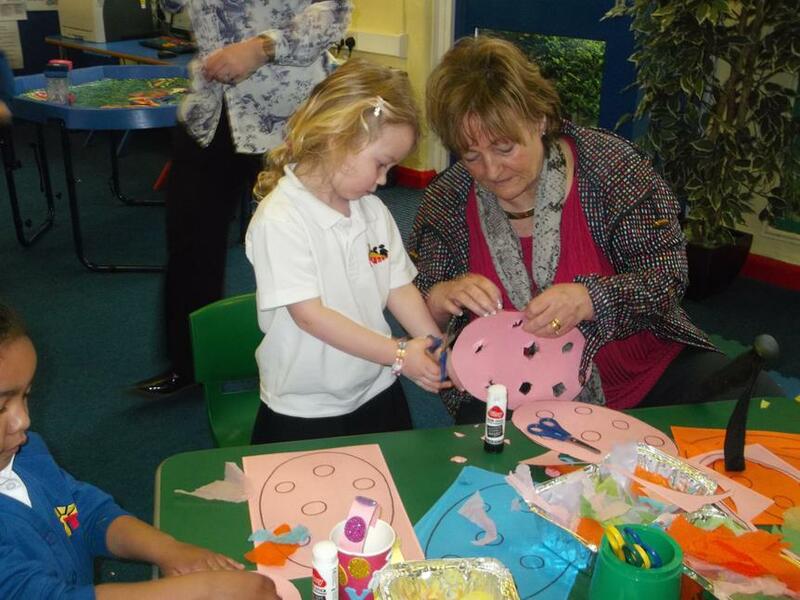 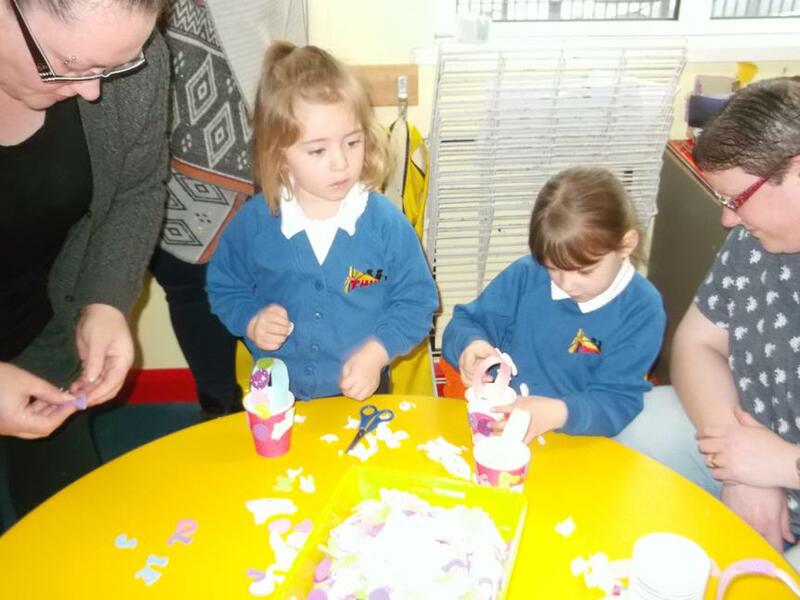 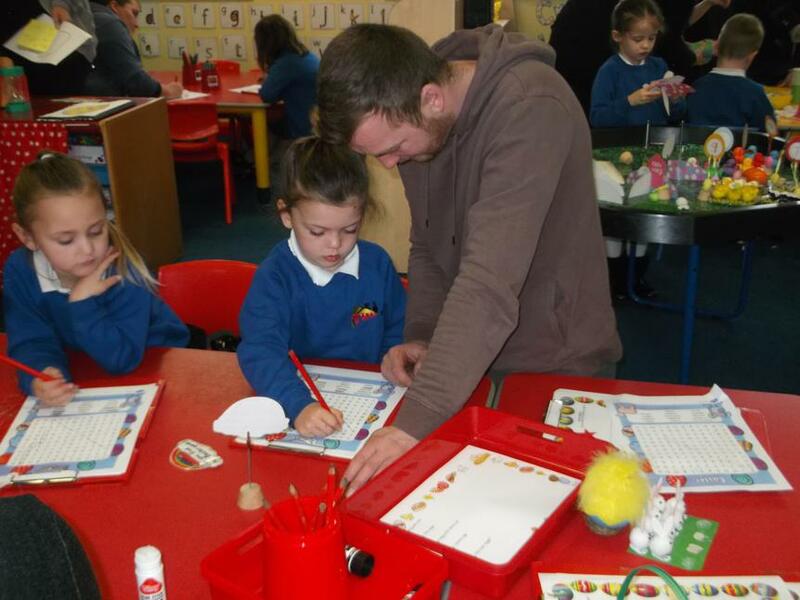 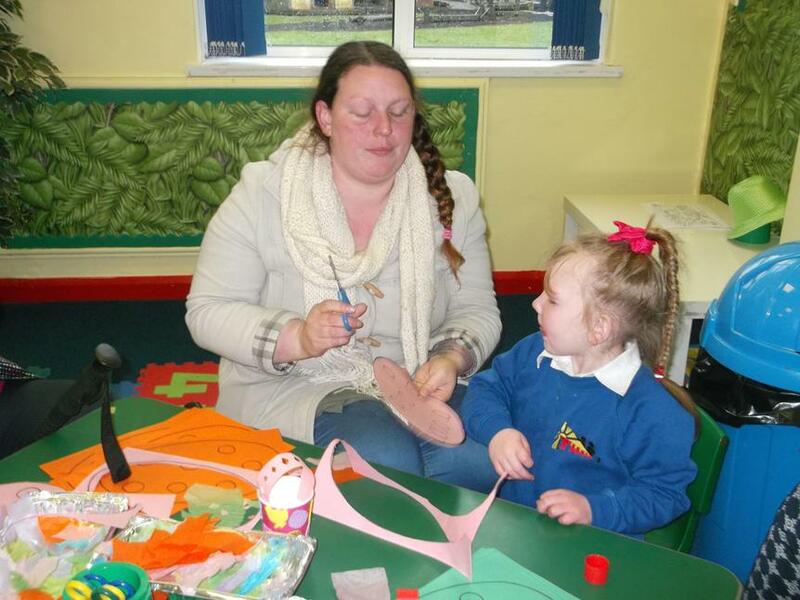 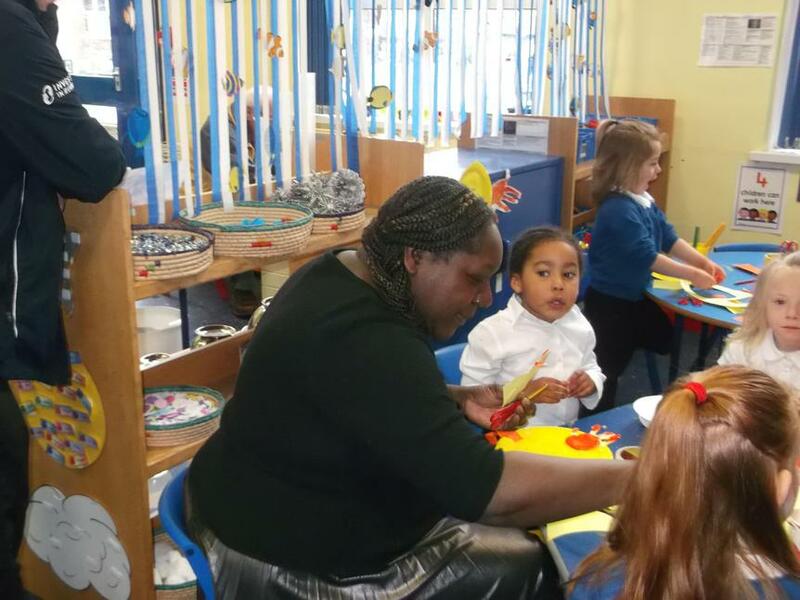 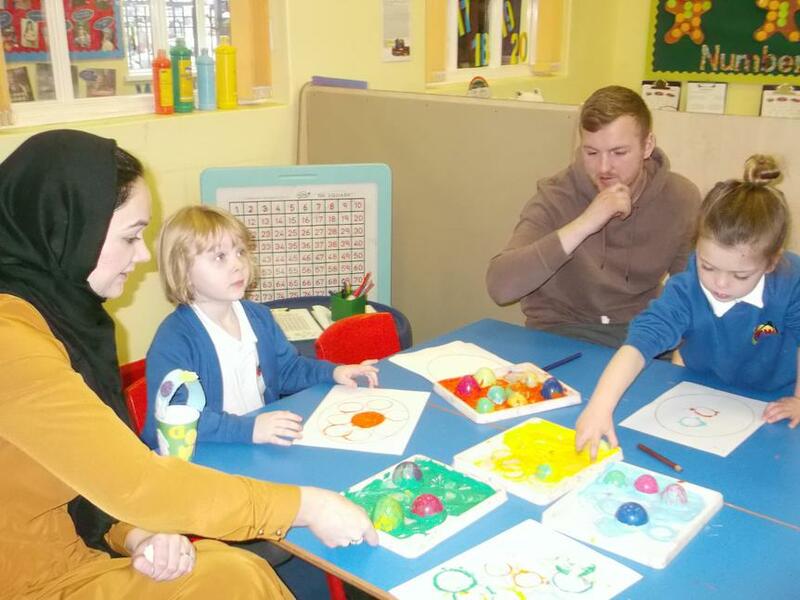 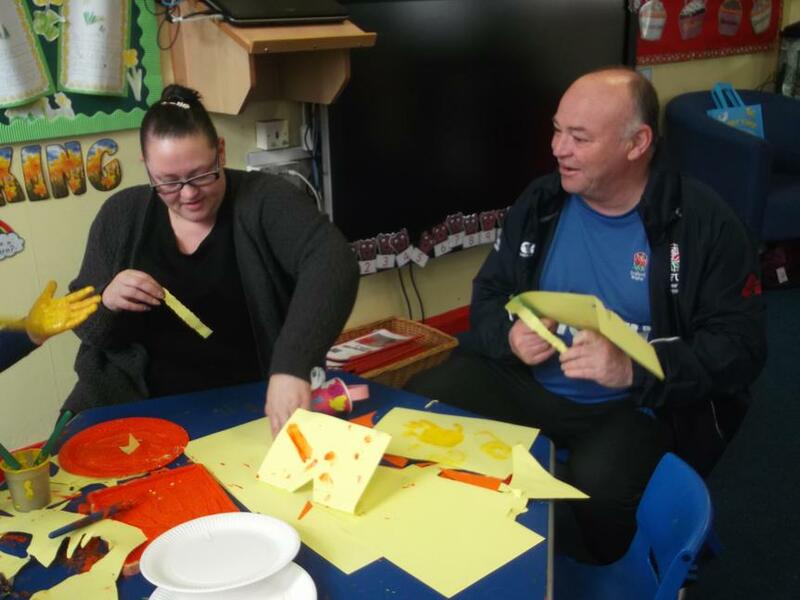 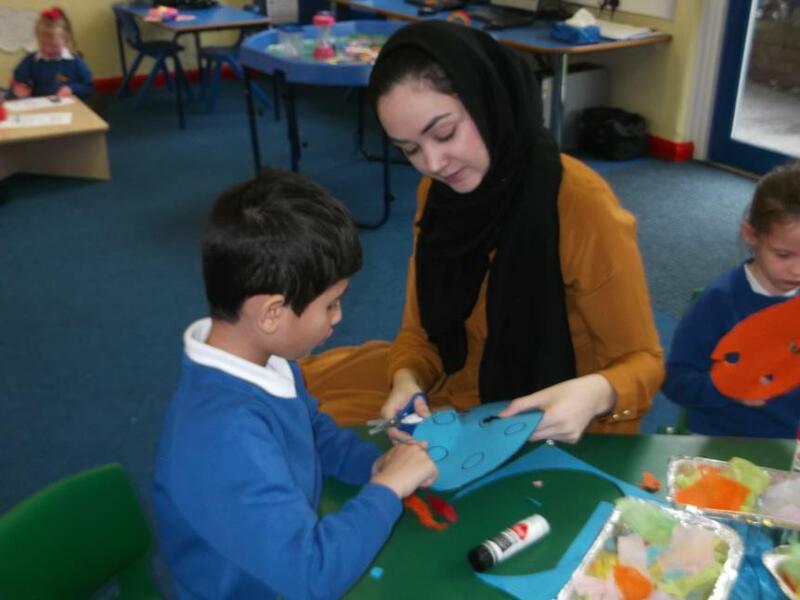 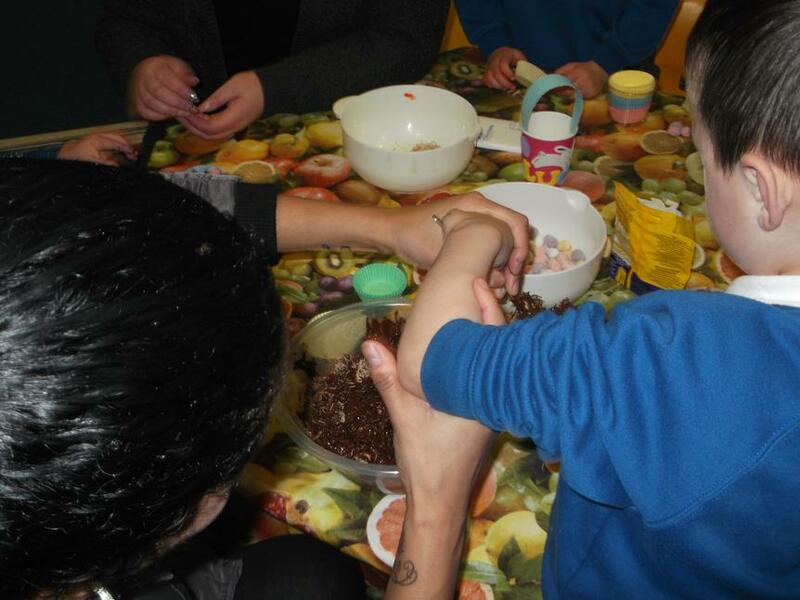 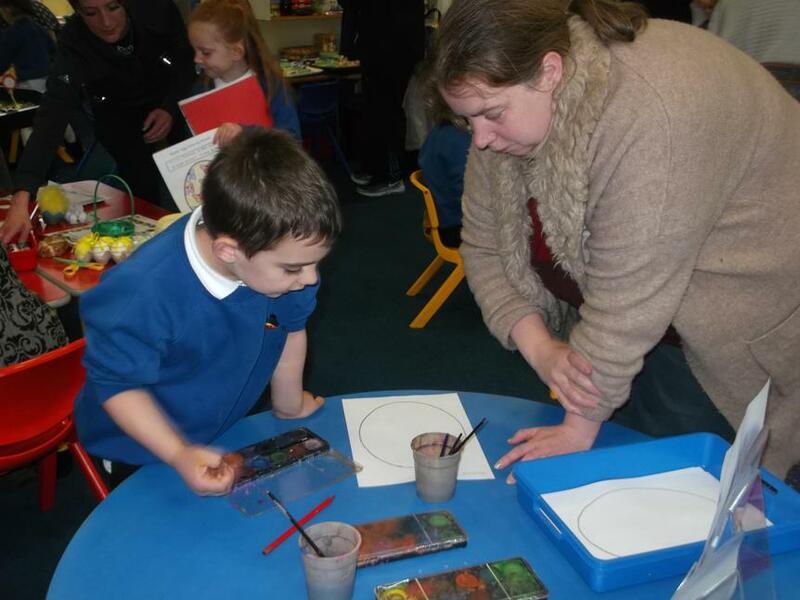 We took part in lots of Easter challenges and we had a fabulous time when our Parents came to visit for our Easter Open Morning.